There is something alluring about elemental forces. Whether wind, earth, fire, or water, there is a very real and tangible attraction that is evident throughout human history. Our mythologies are full of examples of people who can manipulate the four “elements” – anything from a pantheon of Norse and Greco-Roman gods who control various natural powers to Moses parting the sea to Native American mythology, which is completely centred on elemental spirits. What is particularly interesting, though, is how, despite the discovery of the atom and our scientific knowledge that the “elements” as we knew them are little more than macro-scale effects of atomic-level physics and chemistry, our interest in the old order of elements has not waned. Granted, heroes and villains like Captain Atom and Major Force tap into the modern scientific quantum field, manipulating events at the atomic level, but they are far and away the minority. The old elements access something primal in us – we have visceral connections to earth, water, air, and fire in a way that we do not with boron or manganese – and this is why heroes and villains with elemental powers still captivate us as readers and thrive in the mythology of comics. 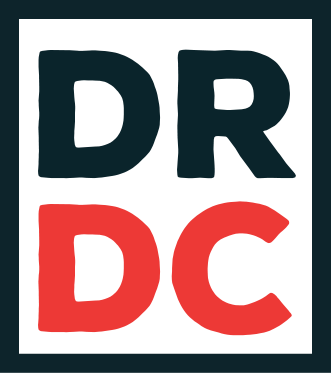 There is a particular proliferation of cold-themed heroes and villains in the DC Universe. They clearly fall into the category of elemental characters, manipulating water, though they exclusively do so through its conversion to ice and frost. Ice, Mister Freeze, Captain Cold, and Icicle (Sr. and Jr.) are just a few of the many examples of characters who are cryokinetic – that is to say, they physically control ice, snow, and cold. In fact, there are so many cold-themed characters that it begins to seem a bit old hat: they wear parkas / furs / refrigerator units; their colours are some combination of blue and white; many have an affinity for diamonds (also known as “ice”, get it?). Those who do not have the power of cryokinesis themselves have some kind of miraculous cold gun that does it for them (Mister Freeze, pre-Flashpoint Captain Cold, Chillblaine). 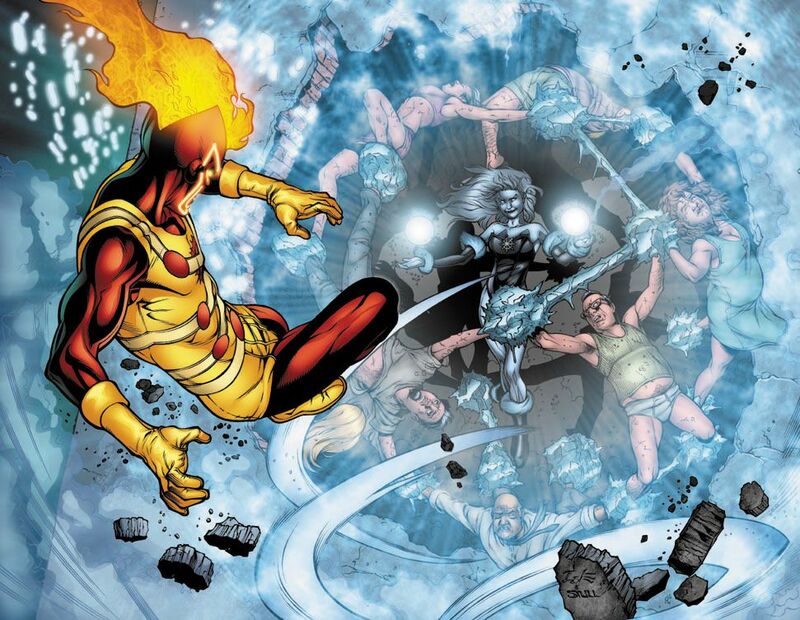 But regardless of whether or not the ice powers come from technology or from metahuman abilities, there is one thing that remains constant about all of them: fire, heat, and energy are all things they must avoid, as they directly clash with their powers. Enter Killer Frost. Three different women have taken up the mantle of Killer Frost and all of them have been the archenemy of the hero Firestorm. All were scientists who were involved with various scientific experiments on cold or thermodynamics and all three, either through accidental or intentional circumstances, were transformed by said experiments into a cryokinetic being. Like many others, Killer Frost has been a member of the Secret Society of Super Villains and the Injustice League. Where Killer Frost stands apart from other ice/cold characters is that she does not have a weakness to fire, heat, or energy. In fact, she needs it. In very broad scientific terms, changing water or water vapour into ice is a change of state (from liquid/vapour to solid), which reorganizes the molecules into a new structure. Any physical change requires energy to be lost or added. In the case of Mister Freeze or Icicle Sr., their cold guns likely contain a battery powerful and convenient enough to create this change, but for the heroes and villains who themselves are cryokinetic, where are they getting this energy? They shun fire and heat and energy blasts, all of which are weaknesses that hurt them, so how is it possible for them to possess these powers? Obviously it is a little dangerous to start rigorously applying scientific principles to mythology, even in broad terms, but the aim here is not to poke holes in ice-themed characters, it is to provide the background necessary to understand what Killer Frost brings to the table. Killer Frost is unique as a cryokinetic being in that she actually absorbs heat and energy. This means that not only does she control cold and ice, she can create a never-ending supply of it by drawing the heat out of her surroundings. This makes her a fascinating adversary for Firestorm, whose power is the creation and manipulation of energy and matter, and whose energy blasts only serve to strengthen her. 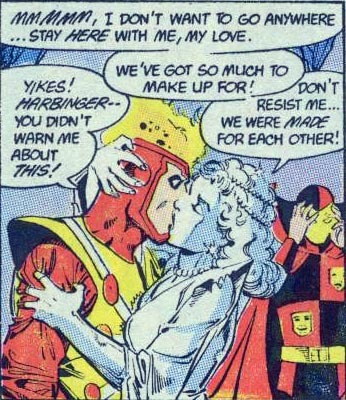 There is another side to Killer Frost’s unique condition. While in battle, especially against Firestorm, her ability to absorb energy is a tremendous advantage, but it becomes a curse off the battlefield when she cannot turn it off. 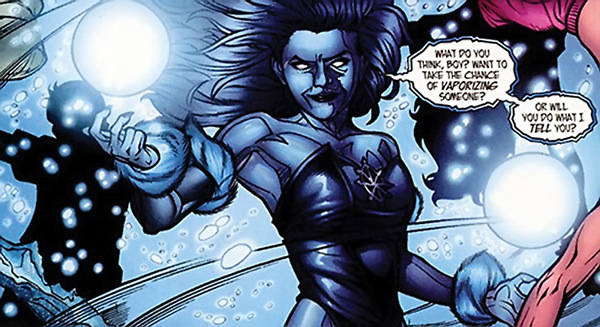 Killer Frost is constantly absorbing energy and converting it to cold – a process which she can manipulate but not fully control – which means that she must always find new sources of energy to draw from or she will die. In this way she is like a parasite: living off of the energy of other people and other things but contributing nothing of her own. But while a parasite is a vivid image, it is not necessarily the most accurate, nor is it the most mythologically significant. As far as science is concerned, cold is not a thing unto itself, just as black is not a colour. In the absence of light (and therefore colour) we see black; it represents something empty. The same can be said of the cold in that it only exists as an absence of heat, not as something in and of itself. Heat is a byproduct of every chemical and physical reaction – something that is lost each and every time matter changes state or atoms interact with each other. So if there is a finite amount of matter in the universe that means there is a finite number of those reactions that can happen. If each reaction means that heat/energy is lost, and heat/energy is required to make anything happen, then at some point there won’t be enough heat/energy to make anything happen at all. This very broad, unscientific explanation of things is what is referred to as thermodynamic equilibrium – more commonly known as entropy. Long story short, like a car with a finite amount of gas, eventually the fuel runs out and all of the atoms and little particles of the universe no longer have any energy coming in, so they cannot put any energy out. Absolute Zero. Death. Killer Frost is the personification of this fundamental universal force. The conversion of energy into cold that she uses to fight Firestorm and cause havoc on Earth is the exact same process that affects the entire universe on a macro scale. Killer Frost’s real power, then, is that of entropy. In this way, she acts as a bridge between the old elemental forces and the modern quantum forces. She accesses the viscera of cryokinetics, affecting the natural world in a primal way that calls back to all of the mythologies that preceded her. Likewise, the process by which she accesses that viscera is based in the principles of thermodynamics, which is all about the interaction of atomic elements. She personifies a union of the old and the new, the intuitive and the quantifiable, mythology and science. Her unique power is a curse to her, but the real curse is that unlike Killer Frost, who can be killed or stopped or even cured, the force she represents cannot. It may be a long way off, but entropy is the one force of nature that is truly unstoppable. It is the death of all and anyone who wields that power is a force with which to be reckoned.